This is in new condition. To be drawn on October 31. Free international shipping. This Item Is Now Closed. Congrats Hilko! 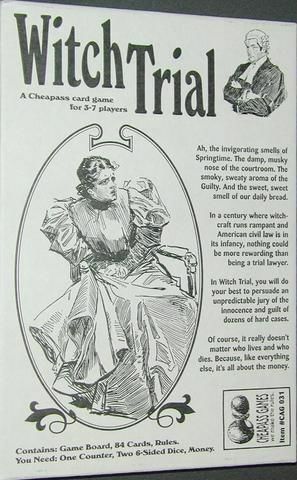 What: Edition pictured (I.V. clamshell), gently used, sleeved, complete with Kickstarter Geek Expansion and the Republic conversion. Or choose instead from the list of ALTERNATIVES below. When: Draw date will be sometime on either 30 October 2013 or 31 October 2013. If you win, I will cover shipping to you or the person of your choice at my own expense, up to $10 postage; beyond that and I'll need you to help me out. 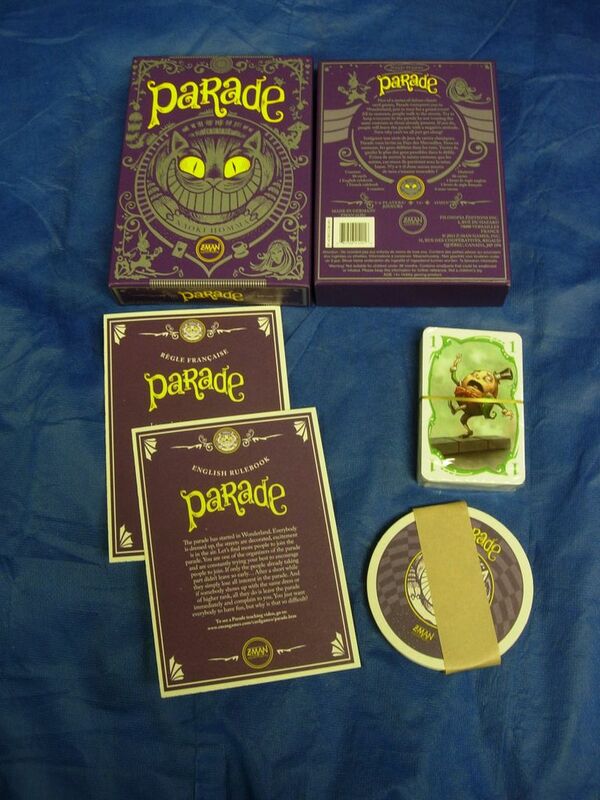 Alternative #1: Parade -- The New Z-Man Games Edition. Brand New, In Shrink. 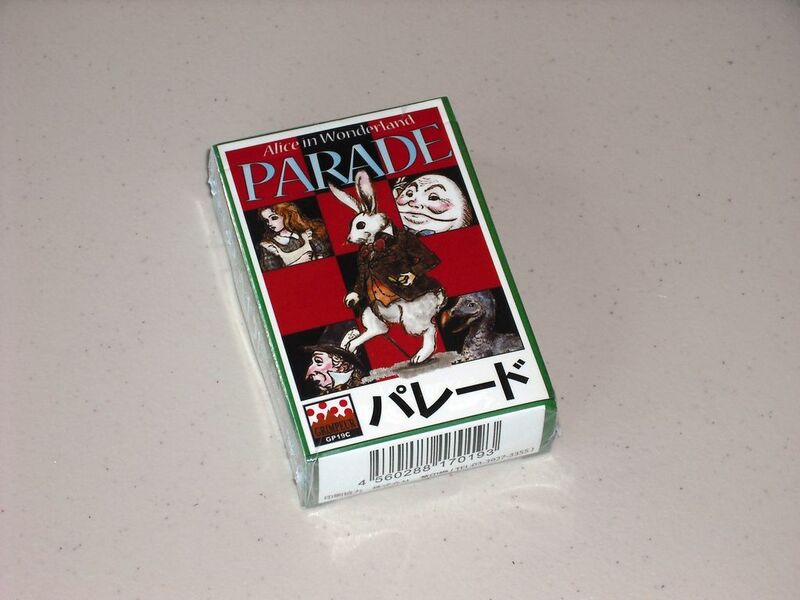 Alternative #2: Parade -- Japon Brand Edition. Rare and un-played, in mint condition. 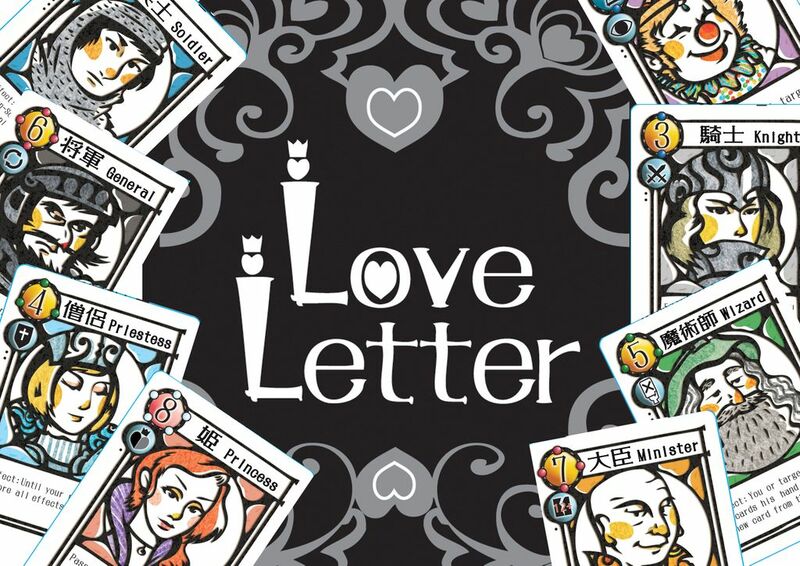 Alternative #3: Love Letter Brand New Kanai Factory Edition. 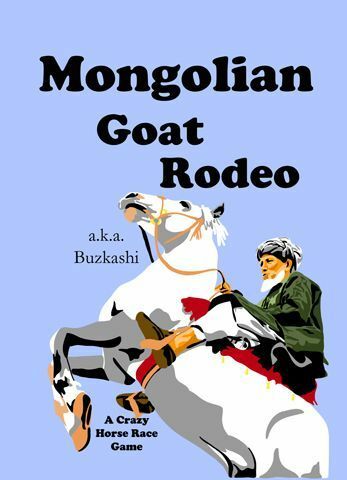 Alternative #4: Mongolian Goat Rodeo A story-telling game that looks absolutely hilarious. Brand new. 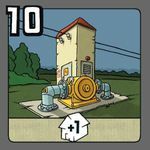 And now for something completely different: to the first twenty-five distinct commenters (unique BGG members) below, I will donate 8 back to you. Whether you bid on this item or not. Whether or not you enjoy Glory to Rome, and why? Or if you don't have it or have never played, why you may want it? 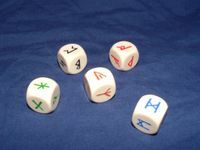 A new game or games that you are really excited about getting to the table, and perhaps a link to a review or discussion you found enlightening. Here's a soapbox for you to rant about something. 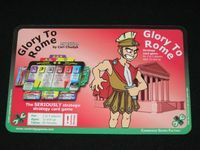 I do enjoy Glory to Rome because it offers challenging decisions, complex and interesting tableau synergies, multiple card uses, multiple ways to win, and strikes a good balance between strategy and interaction. Dominant Species. Because each turn is so brutal and can shake up the board so dramatically, the theme fits the mechanics of the game wonderfully as players are forced to adapt or decline. Steam. Cut-throat economic pick-up and deliver at its finest. Tichu. Because I am hopeless addicted to this game, and have probably spent more time playing this in the past 2 years than all other boardgames combined. Lately I've been crossing over to absorb the rulebooks for some very well done war games, namely Virgin Queen, Fighting Formations: Grossdeutschland Motorized Infantry Division, and Combat Commander: Pacific. I guess this list indicates I'm more or less infatuated with GMT at the moment. I do not know many war-gamers in my area, although I've heard that there are some--cave-dwellers and the like. So I may need to brush up on my Vassal and arrange some sessions from here. I have a lot of angst over gifting my copy of the I.V. edition to a new home. Such wonderful, though-provoking clip-artwork. This game has provided many hours of enjoyment. So to the winner, please take good care of it. So enjoy. If you win. If you want. 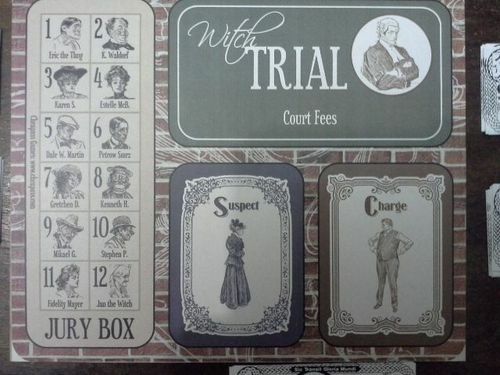 Oh and you get the fairly naff game they came with too. Edit: added in draw date. 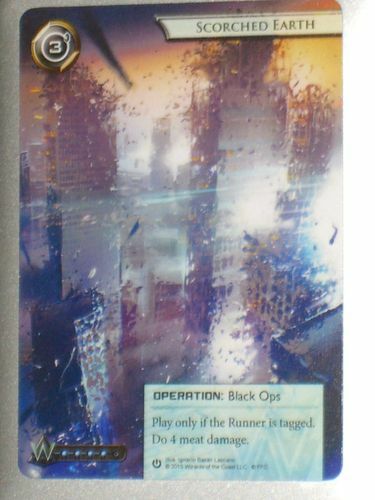 THIS LISTING IS NOT FOR THE ANDROID NETRUNNER GAME! I will make this drawing on October 31st at around 9:00 PM EST. Shipping is free on Earth! P.S. 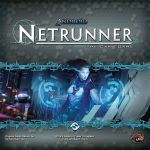 If you'd like to subscribe to when I post new Netrunner G4GG Swag, you can do so here. Thanks! I will do the drawing on October 31 around 9 PM EST. I will ship free anywhere in the world! P.S. 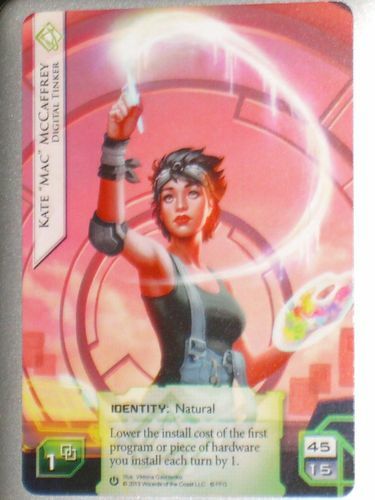 If you're interested in subscribing to the Netrunner items I post, go here. This month I have a special Essen-bonus for whoever wins this auction. A signed copy of DuCo for pickup at Essen! Draw date: 20th October 2013 using the Scraimer’s tool. Should you not be able to pickup the game at Essen, you could reimburse the shipping cost and still get the package, but I would much prefer to meet the recipient in person and sign it on the spot. 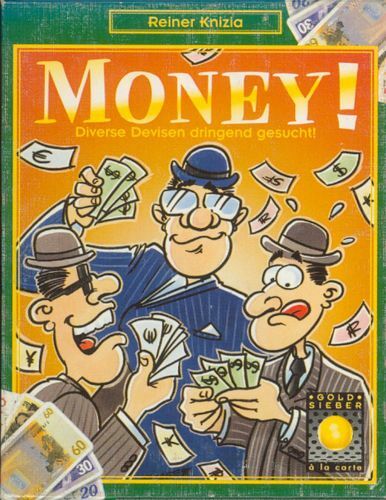 1999 Spiel des Jahres Recommendation. Drawing will occur a random time of October 30. 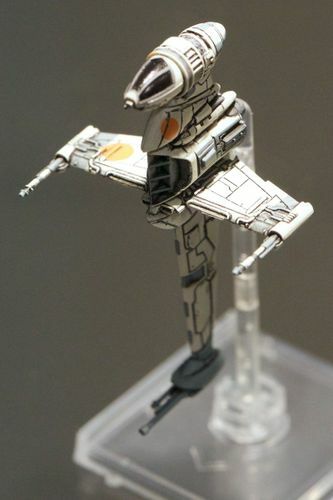 Drawing is for one new and sealed B-Wing Expansion Pack for the X-Wing game! Edit 10/31 - Listing is now closed! Congratulations to the winner! 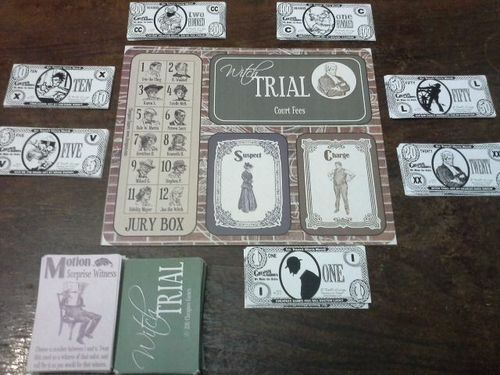 Players represent lawyers in this humorous, pseudo-Colonial courtroom trial card game. Playing time 45 minutes for 3-7 players! The cards have been printed and cut by me on a 280gr paper! The money have been printed and cut by me on a 200gr paper! 150 - Free Shipping Worldwide UNLOCKED! !FREE SHIPPING TO THE WORLD!!! I kindly received a pack of these promos to use in a organized play tournament I made. But they send a few more than I had players, and what is left isn't enough for a new tournament, so I will put them here, maybe someone want them. 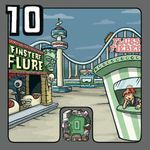 And with the geekgold I can give a few avatars for the people of the Curitiba Ludica Guild here at BGG that don't have one yet. I will do the drawing on October 31st around 9:00 PM EST. Shipping is freen Earth! I have made several copies of coup in the past months with several themes. It has been interesting seeing how changing a theme to a loved game changed the game. So this month i will try to adapt a loved television series to a loved game! A PNP VERSION OF COUP FRIENDS!!!!!!! This will be printed and cut by me on a 280gr paper! 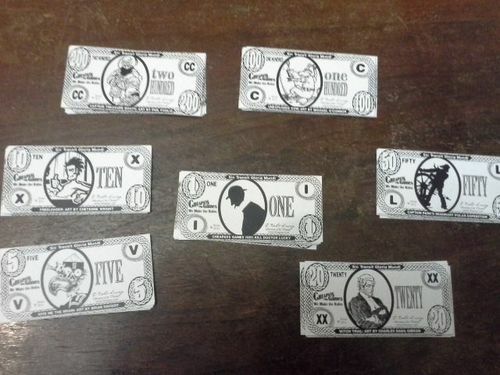 The coins are on a 350gr paper and are one sided. This is for the Kickstarter Promo pack of Resin 8x Trees, 8x Bushes and 4x Crates. Replace that cheesy cardboard terrain with some fancy schmancy pimptastic resin. Free ship 50 States/APO/FPO. Will cover first $10 Worldwide. Will be drawn using Scraimer's Tool on October 31st. Half the Game, Half the Gold! 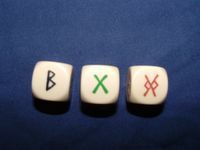 This is for Carcassonne King only. Sorry no Scout. An unused copy of Carcassonne King will be sent to your mailbox. 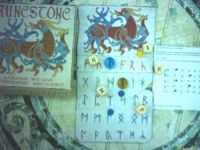 So you will get 7 awesome tiles to add to your Carcassonne base game. 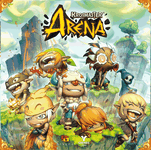 In addition the winner will share in the loot! Meaning you will get half the GeekGold tipped for this item. So for example if 100 is tipped, you will receive 50 along with Carcassonne King. 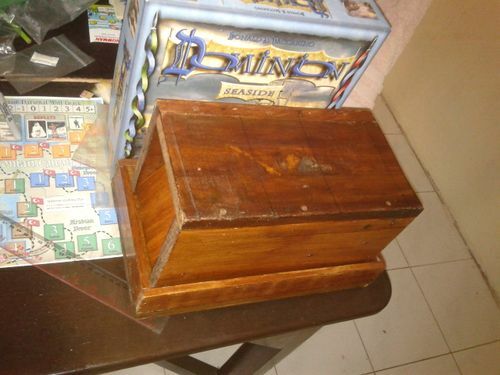 Technically the Carcassonne King for this listing was pulled from a new copy of Carcassonne: Expansion 6 – Count, King & Robber and will have the crown icon on the lower left corner. It will come to you handsomely bagged with English instructions. I went with King and Scout because, obviously 1/2 the Gold is better than 1/3 the Gold (or if you dig deeper into Carcassonne: Expansion 6 – Count, King & Robber, then 1/4 of the Gold)! This is NOT for a copy of the game. 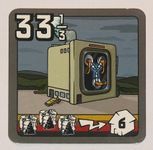 It is for 13 heart meeples that can be used to replace the original cubes that come with the game. 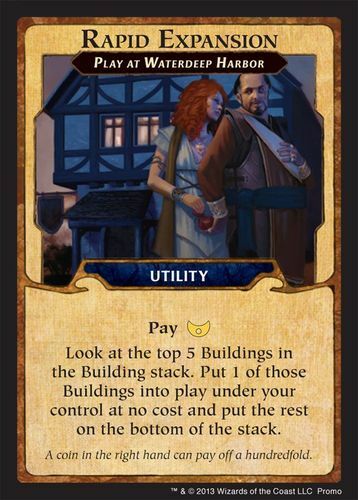 We have an extra set and would like to give it to another BGGer who enjoy Love Letter like we do. 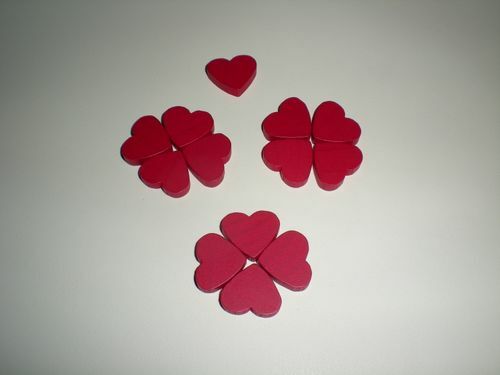 Condition: All the 13 heart meeples are new and have not been used before. Not really outside the scope. 2 Handmade large-sized Dice Towers! why Dominion? 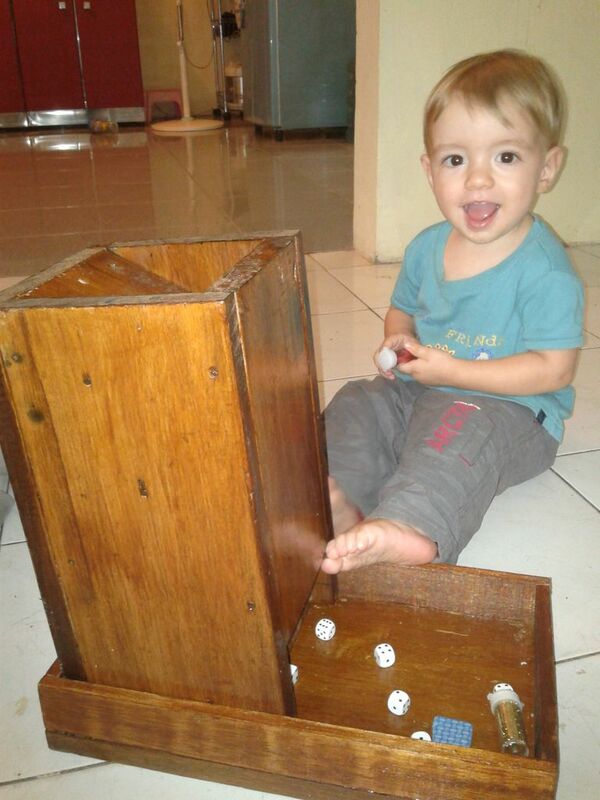 Because nothing is as fun as throwing a bunch of cards down a dice tower! It is made out of Meranti Wood, a kind of hardwood local to Borneo where I live. They have a quality varnish that is not sticky after it sets. My friend, Kirin, make these for me and they are beautiful. This gives him some extra income, and gives me a chance to make some . I will put a layer of felt at the bottom of the catching tray to protect it during transportation and keep things smooth! 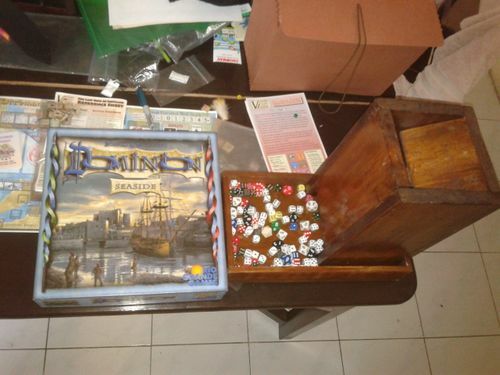 Since this item reached 500 , I will draw a second winner who will get a dice tower pretty much exactly like this one. This item is closed. Drawing at hand apodictic! This is a fun and frantic pattern recognition game, following on the heels...errrr...paws of Pick a Pig and Pick a Dog. Pick a Polar Bear ups the ante on previous versions with two variations: Hold the Leading Player Back! and The Set-Up Delight. 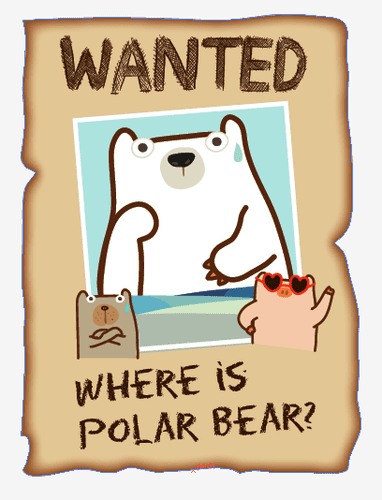 Pick a Polar Bear is designed by Torsten Landsvogt and illustrated by Ari Wong, and published by Jolly Thinkers. Shipping: International shipping is on me! Draw date: Sometime on October 31. Drawing will use the Scraimer Device. If AS bids HAVE reachED 500, I will take a page from Merc007 and Scoutmom's excellent playbook, and include some Hong Kong treats, both exotic and yummy varieties. But no tuna fish. Edit - 30 Oct: Someone besides me has a penchant for rounding bids up exactly to the hundreds place. 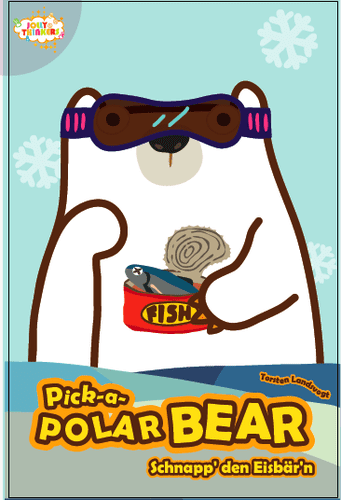 This item is now Pick-a-Polar Bear and Pick Some Treats! Nom-nom-nom! Lover of love. And euros too. I play with RED. Anything else is misery. And I don't want an old fat lady crushing my ankles with a hammer. Condition: Brand new, not in shrink but never used. Draw: Sometime in October 31th, using the Scraimer's Drawing Tool.